'You', the Alpha woman! Always on the move...Be it a Career, Family, Kids, Friends...you are on your toes, and busy 24X7. If you thought that while you pushed the throttle & swung the steering, what used to be 'You', or could have been 'You', fell overboard...Well, it's there for you to re-discover. Take a U-turn with AWSW & get updated with the newest in Lifestyle!! Dining out in today’s busy metropolitan life is one of the coolest way to get pampered and refreshed, but with the choices of restaurants available, and the variety of cuisines that the restaurants offer, a diner find it way too difficult to choose from. And, with this whole new concept of fine-dine, a chef’s table, and a set menu, the foodie in you is all the more spoilt for choices. So, if you have been facing such a dilemma of what to choose, especially the ones living right in the capital city, we are here to suggest you some of the best restaurants in Delhi! Let’s begin with the ever-green, and all-time favorite Indian food. While the restaurants are many in the whole NCR, there are just a handful of them who have been satisfying the taste-buds of an Indian food lover. Be it the very famous Punjab Grill, Punjabi by Nature, Zaffran, Lazeez Affairs, Smoked Biryani House, Desi Vibes, just to name a few, all these Indian cuisine restaurants are primarily into casual dining experience. 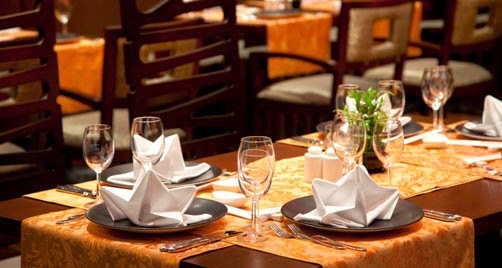 While the ambiance is splendid, it’s the whole fine dine experience that’s missing in such stand alone restaurants. But then there are diners who like the relaxed, leisure and luxe dining out experience, which sure comes at a cost and they don’t mind it in any case. And guess what? There are many such restaurants in Delhi that can tantalize your taste buds with their creative menus, personalized touch, and sometimes a chef’s table for that perfect fine dining fun… Places like Dum Pukht, Bukhara, Indian Accent, the all-new Tamra in Shangri-La Intercontinental, are a few handful names that have redefined the Indian fine dine eating out, and have taken it to a new level. 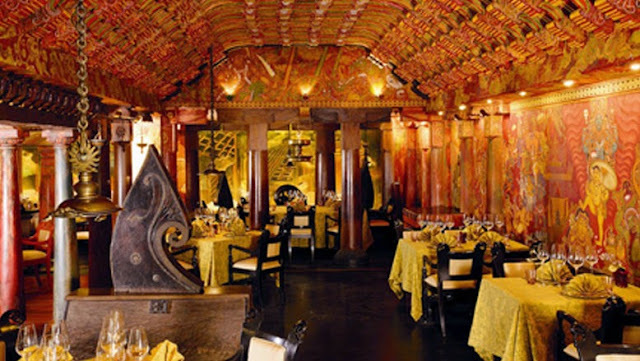 It’s time for you to choose any, and enjoy our desi food, in the most lavish way! For a diner in Delhi, the choices seem to be unending, and that’s one fo the reasons why all hotels have an all-day dining restaurant to try from the unlimited dishes and varieties displayed right in front of their open kitchens. Like in Gurgaon, the Kitchen District at Hyatt Regency has some splendid variety of food, from seven different kitchens all over the world. The Delhi Hyatt has equally good variety, and the add-on is that they keep running some international food-fests with expat chefs through-out the year. Same goes for the MoMo Cafe of Courtyard by Marriott, which again offers some lip-smacking delicacies through-out the day. The beautiful Cafe Uno of ShangriLa, which is now under renovation is diners favorite place in central Delhi. Likewise, Taj Mansingh, Senses of Pullman and Viva at the Holiday Inn. The buffets at these finest hotels are pocket-friendly, and one can actually enjoy different flavors, specialty menus, flavor of the day, and many more with friends and family… Eating out places in Delhi have come a long way, and with the changing trend of food being enjoyed with exotic drinks, the best of restaurants and hotels are leaving no stone unturned to please the diners, or the so-called food-lovers! Nature-friendly Protein Preference- Say Yes to Soy! Hey Buddy!, I found this information for you: "Tantalize Your Taste-buds With Fine-dine". Here is the website link: http://www.allwhatshewants.com/2016/10/17/tantalize-your-taste-buds-with-fine-dine-2/. Thank you.